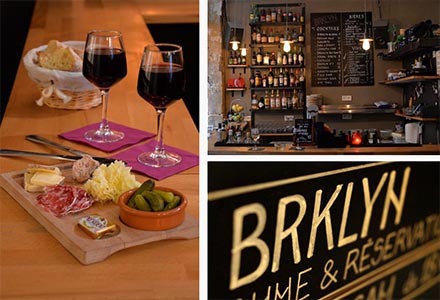 From Brooklyn to Paris, Origin and destination: that’s The Brklyn. An American bar with smooth cocktails, craft beers and organic wines located just around the corner of the Pompidou center in the Marais area. Our aim is to bring people together in a social setting, experiencing drinks and food along with cool music and modern Art from French and American cultures. 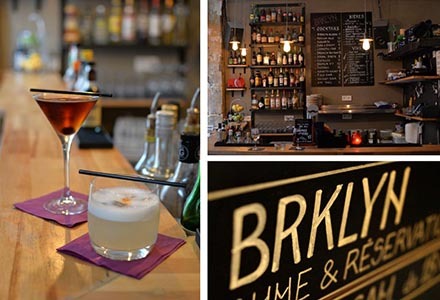 American expat David, Creator of The Brklyn bar, has worked in many restaurants and bars from San Francisco to Paris, to New York and back to Paris. With a Bachelor of Fine Arts from Hunter College New York City, it just felt natural to design an Anglophone bar with an artistic atmosphere. © 2017 The BRKLYN. All Rights Reserved. Developed by CGraphika.